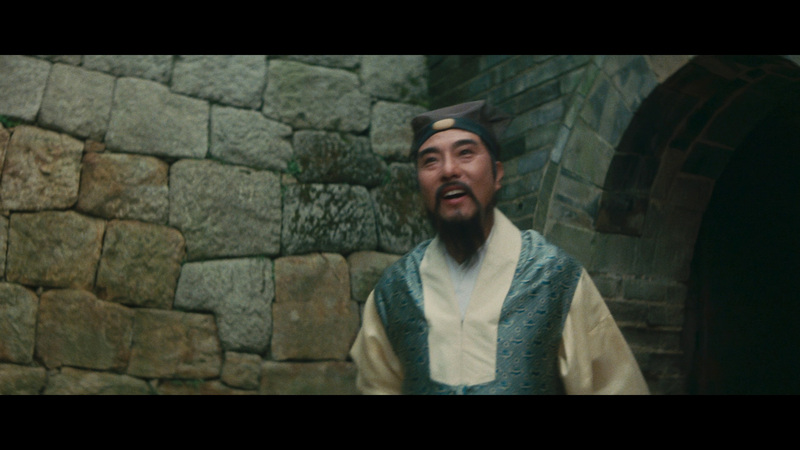 When it came to making exhilarating classical epic adventures, the late King Hu (1932-1997) had no equal. My first viewing of his 1971 masterpiece A Touch of Zen two years ago on Criterion’s exceptional Blu-ray release all but confirmed that fact. Hu specialized in making films that defied simple categorization, blending action, horror, fantasy, romance, mysticism, and philosophy together with sumptuous visuals and performances perfectly suited for the changing tones. 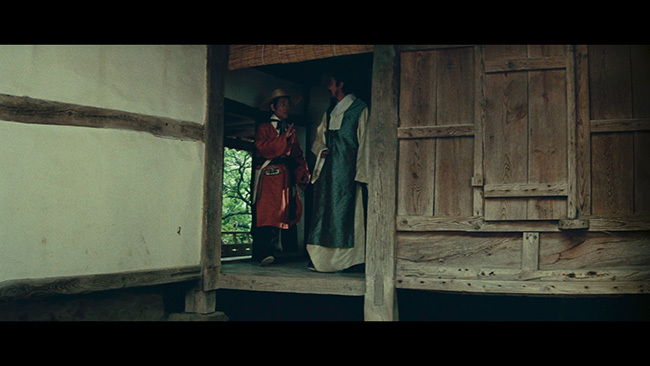 You were drawn in by the promise of astounding sights and action that boggled the mind, but if you failed to pay close attention to the characters and stories of Hu’s films, you often were left staggering by the strange territory in which they inevitably ventured. Hu’s films belonged to a genre of Chinese fantastic fiction known as wuxia, which was devoted to stories of martial art heroics in ancient times. Ang Lee’s Oscar-winning classic Crouching Tiger, Hidden Dragon is one of the more recent examples of a wuxia film, though that certainly contains more action than Hu’s 1979 feature Legend of the Mountain. 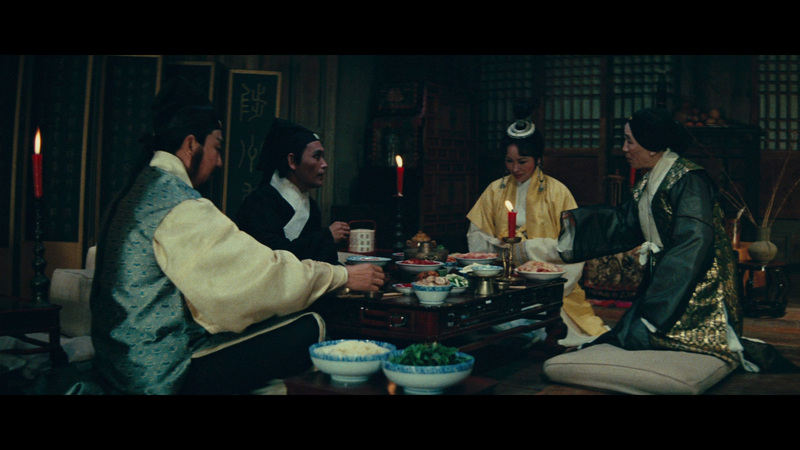 At a running time of 192 minutes, Legend is both entertainment and commitment; if you are not prepared to sit through nearly two hours of Chinese costume drama and romance before the truly outlandish events begin to occur, you might be better off watching one of the Shaw Brothers’ faster-paced kung fu flicks (not that there’s anything wrong with that). 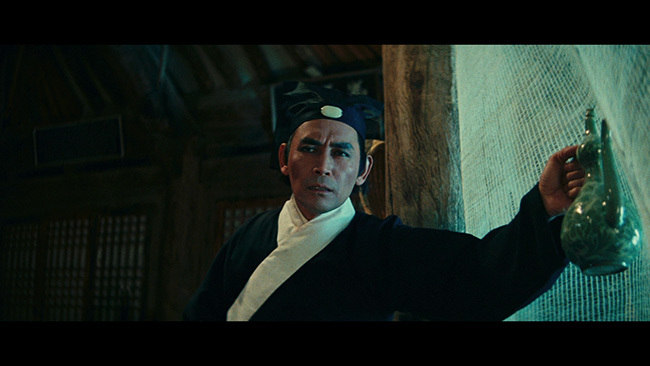 Chun Shih, who had previously worked with Hu on A Touch of Zen and Dragon Inn, plays the unlikely hero of Legend of the Mountain – Ho Yunqing, a young scholar in ancient China who has taken to the life of a humble copyist. For his latest assignment, Ho has been tasked with making a copy of The Great Mudra Sutra, a Buddhist document rumored to bestow great power on those who master it. 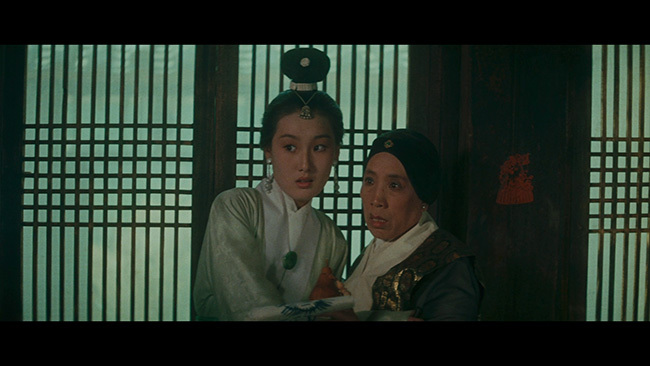 His mission takes him to a virtually deserted monastery located on a mysterious mountain, where upon his arrival Ho is greeted with the hospitality of adviser Mr. Tsui (Lin Tung), his seemingly mad servant Old Chang (Feng Tien), the forthright Madame Wang (Rainbow Hsu), and her lovely daughter Melody (Feng Hsu). 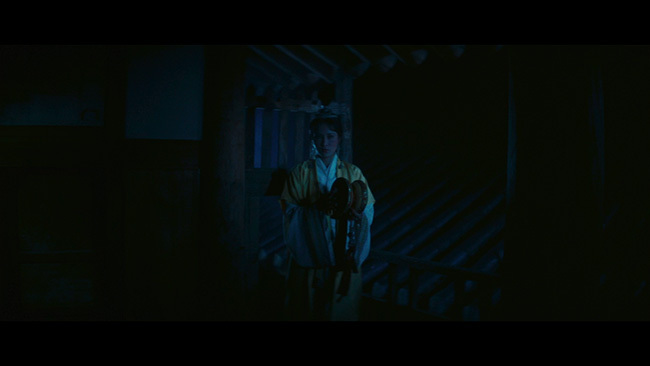 After he passes out during dinner on his first night and wakes up to discover he has become engaged to Melody without any memory of having done so, Ho begins to suspect that all is not what it seems on this mountain. He finds himself growing more attracted to the woman, but the conflicting behaviors of her relatives soon give way to ulterior motives. The power granted by the Mudra Sutra enables a person to navigate the realms of life and death, a power that is greatly desired by some of the same individuals who once appeared so welcoming to the young scholar, while others seek to protect both Ho and the sutra from the forces of darkness from beyond the grave. King Hu was undoubtedly the king (sorry) when it came to making films that raised Chinese action cinema to the level of sophisticated artistry, and Legend of the Mountain is one of his greatest achievements as director and screenwriter. He also produced the film and edited it alongside Nan Hsiao, which is why Legend moves at a respectable pace and doesn’t make the gargantuan running time feel like an ordeal for your posterior. Hu brought the same craft and imagination to every position he held on Legend. Like all his best films, this was his baby through and through, and he dedicated himself fully to the creation of an adventurous experience audiences would not soon forget. Even during the slower first two hours of Legend, Hu provides us with plenty of plot and character development to invest ourselves in as he constructs his mythology and allows for the true machinations of the spirits that dwell on the mountain to gradually be revealed. He is in no rush to get to the dazzling third act, inspiring patience in those watching by creating a genuine romantic relationship between Ho and Melody and establishing the monastery as an inviting but ultimately menacing place where good and evil clash over ultimate power in the spiritual realm. 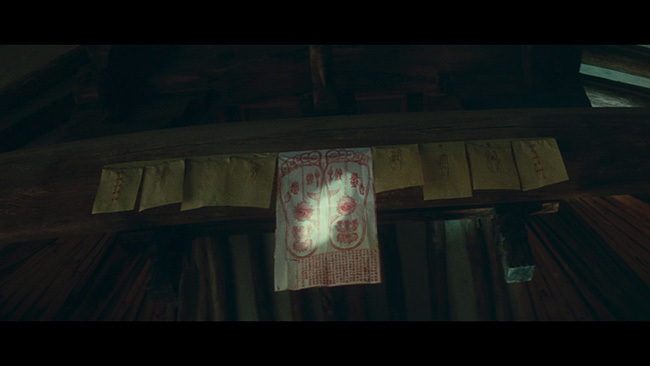 The isolated exterior locations selected by Hu offer the ethereal beauty and impenetrable mystique Legend of the Mountain requires from its titular setting, which the director exploits for maximum production value with the assistance of the magnificent cinematography of Henry Chan. 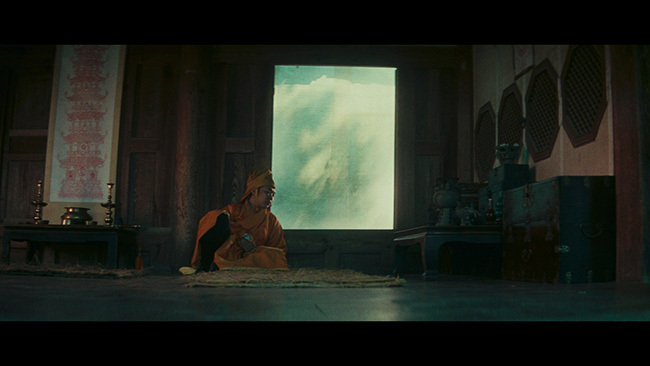 Hu reunited with his Touch of Zen composer Ta Chiang Wu to create the film’s haunting soundtrack, and music plays an important role in Legend of the Mountain as it is often employed as a weapon in the battle for the sutra, especially in the form of drums, flutes, and cymbals. The score itself suits the dueling moods of supernatural mystery and corrupted love that dominate the narrative and it fits each scene with elegance. 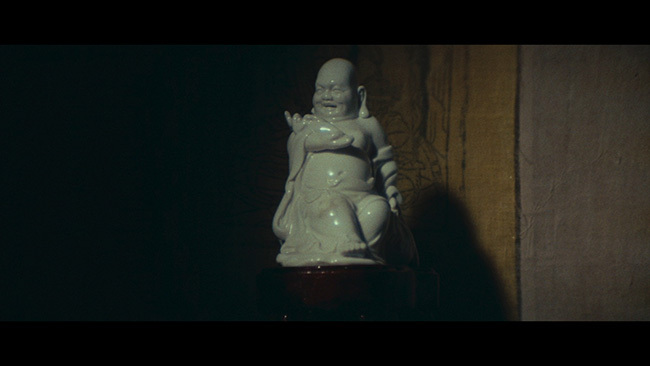 Chun Shih’s performance is just right for a character who never becomes fully formed in the eyes of the viewer but serves well as an appropriate audience surrogate. Ho is not a hero or a shining beacon of virtue, but a well-meaning Everyman sucked into a war beyond the scope of his considerable intelligence. The rest of the cast support Shih ideally by fleshing out characters of dubious motivations into people with understandable stakes in securing the sutra for their own purposes. Feng Hsu brings beauty and sadness to her role of the daughter Melody, while Lin Tung makes the shifty Mr. Tsui convincing and Rainbow Hsu never overplays the deceitfulness of the scheming Madame Wang. 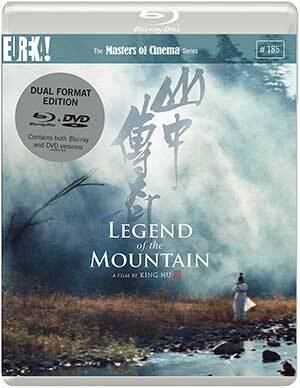 As part of its Masters of Cinema, Eureka’s Region B Blu-ray release of Legend of the Mountain features a handsome 1080p high-definition transfer sourced from a recent 4K restoration of the film. The film is presented in its original 2.35:1 widescreen aspect ratio. I simply cannot imagine Legend having looked this superior on home video before. 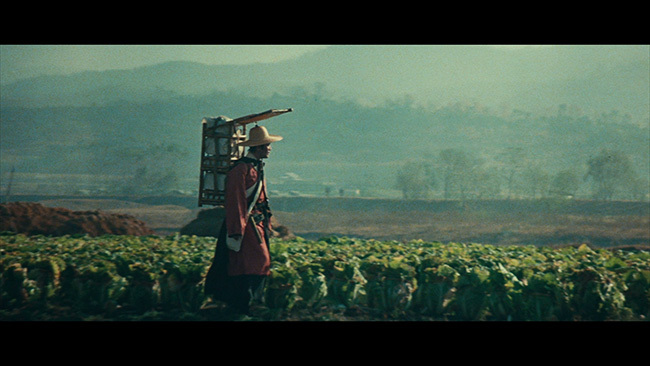 Colors are lush and luminous, with the timing accurate and favoring a spectrum of leafy greens, warm browns, and a subtle turquoise hue in which the cinematography appears to have been bathed. 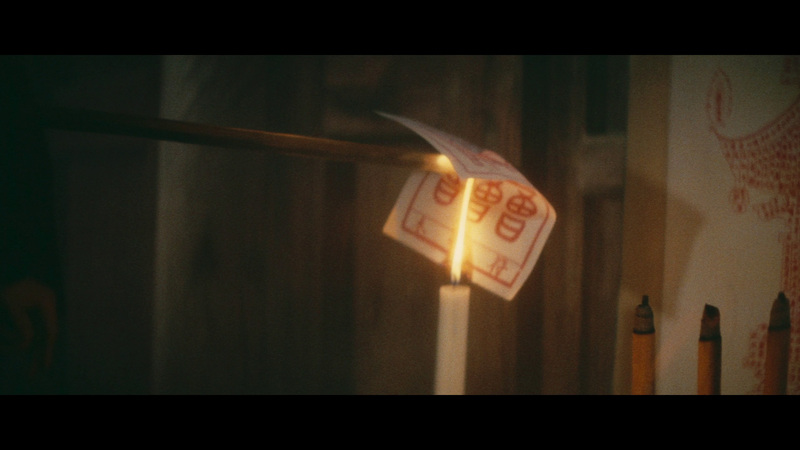 Black levels are strong and allow for improved depth and visibility in the darker scenes. Close-up facial details and flesh tones give the characters renewed vitality and presence, and the bolstered crispness brings out texture in the sets and outdoor scenes that previous video versions could not provide due to the lack of resolution in the image. Since Legend was originally filmed and released in mono sound, there’s only so much that the uncompressed Mandarin Chinese PCM 1.0 audio track can accomplish. The overall mix gets the job done because the sonic activity is all focused on the front channel, and there is little distortion I could hear even though the track tends to suffer from a thinness that prevents the viewer from being able to immerse themselves in the film. Luckily, the music and sound effects are integrated into the mix without creating a volume imbalance or threatening to overwhelm each other. English speaking viewers shouldn’t find with the muffled dialogue thanks to the optional subtitle track included by Eureka. Extra features conform to the critical side of things. First up is “Screen Legend: The Magic of King Hu” (21 minutes), a video essay by critic/filmmaker David Cairns that covers the director and his unique filmography with great detail and insight. 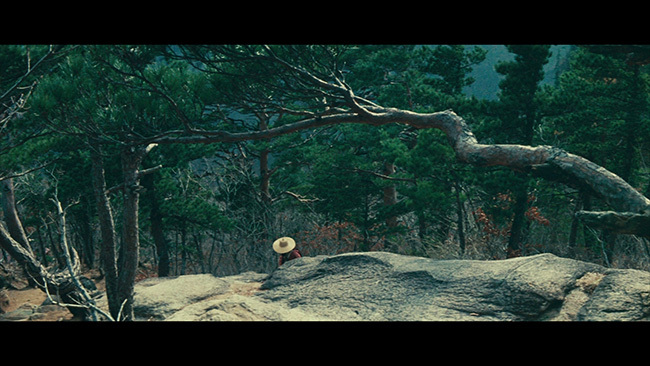 “Tony Rayns on Legend of the Mountain” (21 minutes) naturally finds the Asian cinema expert stepping in front of the camera to discuss the film with respect to the production history, the stunning visuals, and the philosophical themes embedded in the narrative by Hu. Rounding out the extras are a gallery of stills in both black & white and color that include multiple behind-the-scenes shots and a small selection of lobby cards and a trailer (2 minutes) created by Eureka to promote the film’s restoration and first Blu-ray release in the U.K. Included with this Blu-ray is a collector’s booklet featuring an essay about Legend of the Mountain written by Grady Hendrix, the author of My Best Friend’s Exorcism and Paperbacks from Hell. The dual-format edition also comes with a DVD copy. 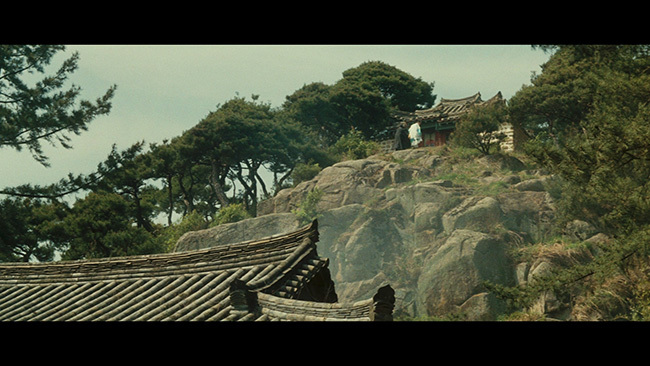 Visually stunning and philosophically engaging, Legend of the Mountain is another feast for the senses from the great King Hu. 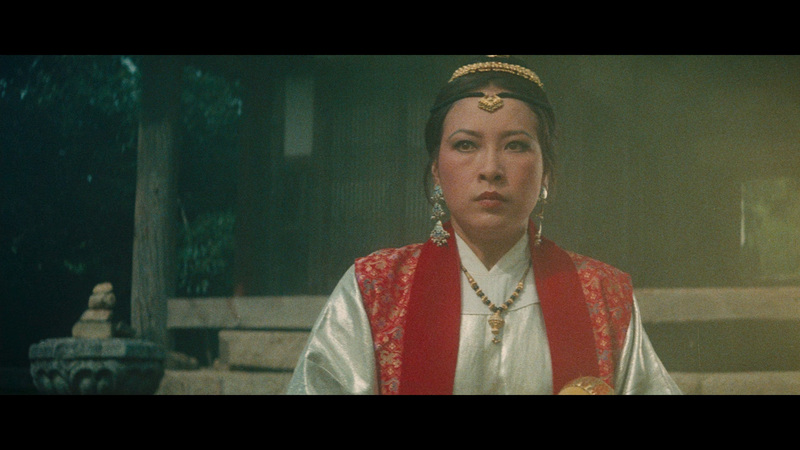 Eureka Entertainment’s Masters of Cinema Blu-ray release is one to own for lovers of astounding Asian cinema, with the newly restored film looking absolutely fantastic in high-definition and the critical supplements are guaranteed to give you more food for thought after you finish watching Legend. Highly recommended.